We performed Leroy Anderon’s Penny-Whistle Song on NVPO’s “Pops in Love” Concert. After years of playing the famous Christmas tune, Sleighride, this was my first time to play this flute feature. I also learned the Leroy Anderson spent most of his life living in Cambridge, MA. Enjoy! The other members of the flute section are Mana Washio and Pamela Daniels. Love it! I will have to track down an old-style metronome and see what Dolce does. The unexpected number of snow days in Boston this winter has allowed me time to play catch up with my to-do list and afforded a few free moments to cultivate my crafty personality by spending time with a sewing machine, fabrics, scissors, thread, and an iron. 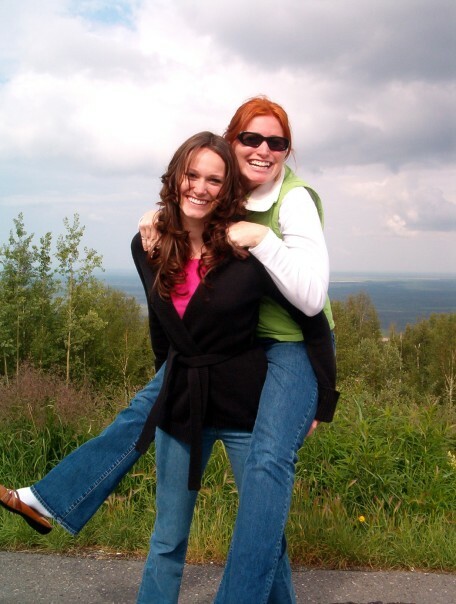 Back Story: I could from a line of wonderfully talented and crafty women in my family. Both of my grandmothers were fabulous sewers. Growing up, Carmen and I had were lucky enough some of the most wonderful costumes to play dress-up in as kids that were made my paternal Grandma. My favorite set were handmade dresses from Cinderella, which included 3 Fairy Godmother dresses in blue, red, and green (complete with pointed hats) and one of course for Cinderella herself. 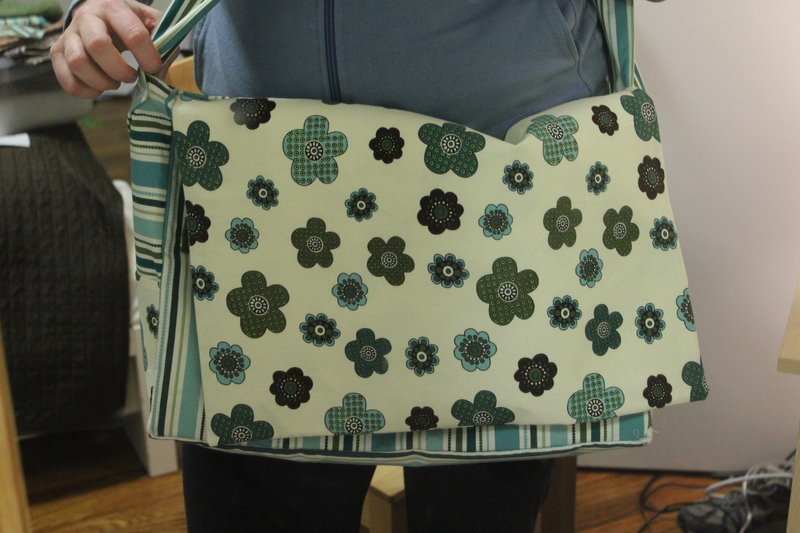 Continuing the tradition, my mom and aunts (on both sides of the family) have become successful sewing crafters in their own ways creating quilts, baby blankets, purses, luggage tags, and more. 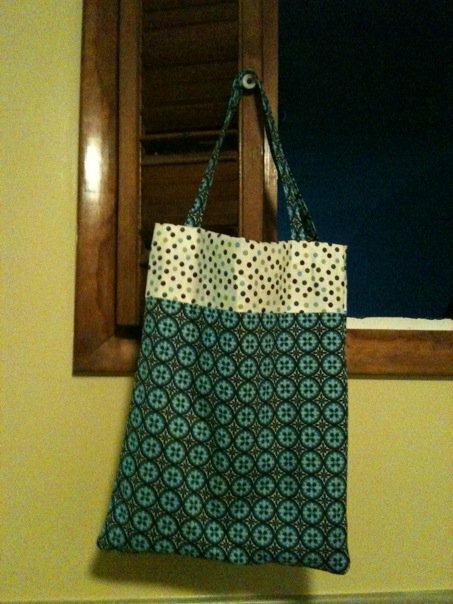 My mom bought me sewing machine from Christmas 2009 and after a few trips to Joann’s Fabrics and browsing Barnes and Noble for trendy sewing books, I completed my first bag last March. The sewing machine rested for the remainder of the spring as I struggled to find motivation and time to start a new project. Fortunately, I did discover the Fabric Corner store up the way in Arlington and fell in love with fabric selection there – all of the beautiful fabrics by designers that I hadn’t seen at Joann’s like Amy Butler, Marimekko, Anthology, Kaffe Fassett, and more. 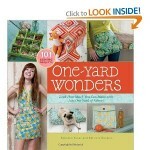 It is easy to spend an hour in the store browsing fabrics and imagining all of the fun projects I could work on. We moved to a new apartment in July and I embarked on some home decoration of the curtain and pillow variety thanks to the help of the Somerville Public Library. 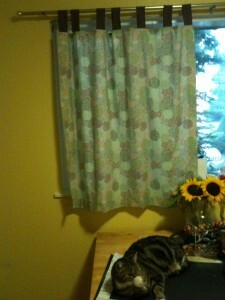 It turns out to be very convenient to having a library I can see out the living room window for the very purpose of impulsively checking out five books on curtain design. 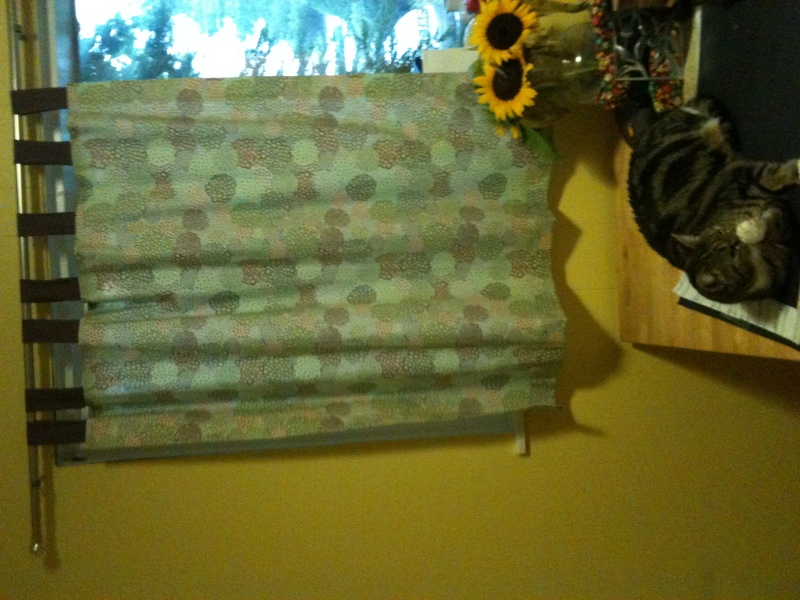 With limited skills, I selected a pattern for a tab curtain and used a beautiful Australian Aboriginal print from a line carried at Fabric Corner. I had my eye on these books all year and am looking forward to working through some of the projects. 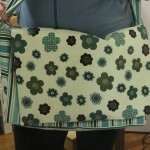 Three bags have been created over the last month – one for myself, one for my sister-in-law, Alycia, and one for Kathryn. Each new bag has improved from the previous one as I’ve learned from the process and experimented with new techniques, different stitching options, played around with pockets and interfacing, and dealt with magnetic snaps. Sewing is definitely good practice for my patience, especially when it comes to threading the bobbin! I have gained great satisfaction from finishing each project and love totting my new bag around. There are still so many basic sewing skills that I can improve on as well as a variety of projects in my crafty books that I haven’t even tried yet. Just as my life as a musician, I embrace the idea that there will always be something new to learn. Enough crafting for tonight! It’s time to get back to practicing Dutilleux, Boehm, and Bach to record this weekend for the NFA competition and the slew of music for concerts coming up in February and March. Do you single or double space? I used to always believe the rule was to double-space between sentences. Since so many of Greg’s co-workers at BU are graphic designers, I’ve been privy to learning some of their visual secrets. Take a peek at this article on typography. This is the fourth winter I have lived in New England. There is a good chance it will be my snowiest one yet. We have had three snow days and it is only January. At this point, I might be teaching make-up lessons until July. Looking back, 2010 was a musically satisfying year of fabulous concerts, collaborations, and dedicated students as well as fun travel, entertaining Boston visitors, crafting adventures, and a new apartment! We are watching the Boston snow storm from Christmas in Tennessee with Greg’s family. 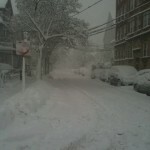 I wish we were back in Boston to see all the snow. 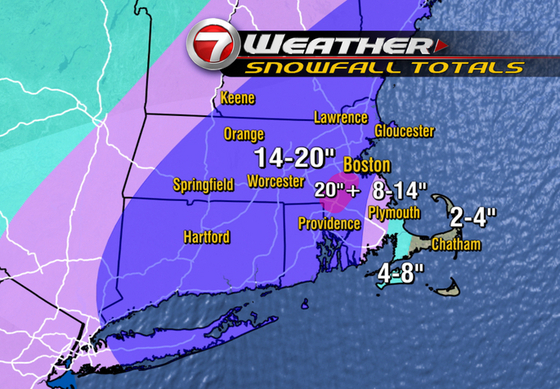 Check out the projected snow totals according to Channel 7 News in Boston. 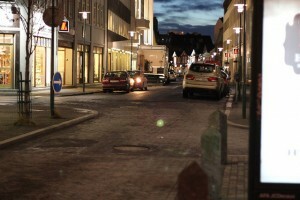 2011 looks to be exciting and kicks off with an exciting concert on January 7th. Rachel and I are excited to perform on the Vortex Series for New and Improvised Music on their first concert in their new location at the Democracy Center in Cambridge. Check out the link here and the performance calendar on my website for more information on the concert. The spring includes a few concerts and trips, culminating in a visit to Austin in May where my younger sister, Carmen, is getting married in the Austin Hill Country. She will be a beautiful bride! Happy New Year! Stay tuned for more upcoming events. This fall was a blur of teaching and playing – my intentions of posting on the blog once a week definitely did not follow through. Luckily, December looks like I will have more time to breathe! Gregory and I wrapped up November with a long-delayed “honeymoon”, although I like to consider it our “1st Anniversary” trip since we celebrated one year of marriage on October 3rd. 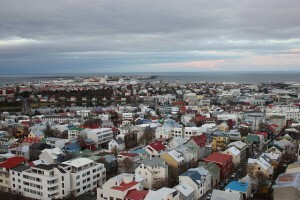 We left on a red-eye from Boston and work up in Reykjavik, Iceland for a quick 24-hour stop on the island. 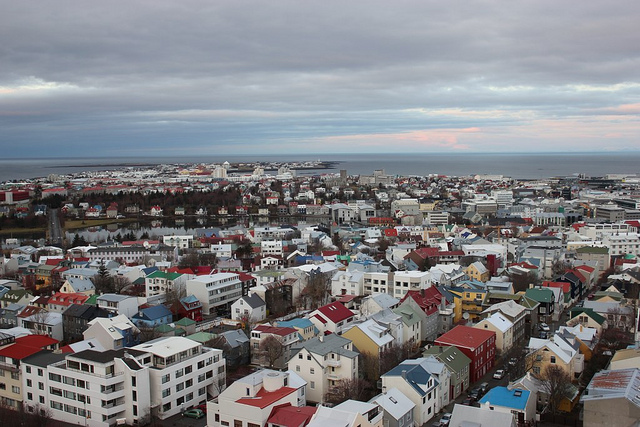 A few years ago, we watched this movie “Reykjavik 101” and I kept having flashbacks to the dark, desolate-looking city as it didn’t start to get light until after 10 AM. We arrived at our hotel at 8 AM and wandered aimlessly for a few hours in the morning around the city waiting for shops to open and people to come out. As we woke up early the next morning to catch the flight to Paris, we found out why no one was out on Saturday morning – we had just missed all of the partying until 6 AM when we arrived! The Icelandic people definitely know how to party. Our 9 days in Paris were wonderful! Greg spent six weeks during the summer in 2001 studying in Paris and I had traveled through Paris twice – once in high school and once in college, but this was our first time to experience the city together. The tourist scene was very quiet as there were not many Americans around. We took in 3 concerts: Jazz pianist Brad Mehldau and saxophonist Joshua Redman, an interdisciplinary dance/music concert at IRCAM, and an evening of chamber orchestra with Ensemble Intercontemporain. The last concert left me feeling so inspired to perform! Of course, delicious food, great museums, and long walks through the city rounded out the trip. One of my favorite places in Boston is the Isabella Stewart Gardner Museum in the Fenway area of Boston near the Museum of Fine Arts. From my first visit, I have loved the eclectic and unique nature of the Gardner Museum – from the beautiful greenery in the courtyard to the variety of art and pieces in the rooms. It is just the kind of decorating that I enjoy! I was excited to be invited to perform with the Callithumpian Consort on an evening concert at the Gardner when they stay open late on the 3rd Thursday of each month to have a party! Since they don’t allow you to take pictures in the Museum, I leave you with a picture of the Courtyard that I found on their website. 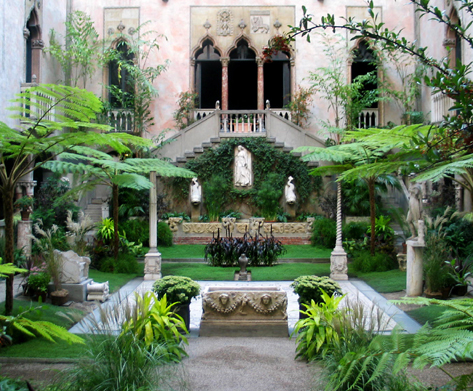 If you ever visit Boston, the Gardner Museum should definitely be on your must-see list! 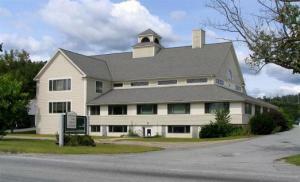 I’m excited to announce that I have joined the Flute Faculty at the Indian Hill Music School in Littleton, MA. I will be available for lessons on Thursday afternoons and will be directing the flute choir on Thursday evenings. The building is beautiful and it was great to meet so many lovely families and faculty members this past weekend at their Open House. I’m excited to be a part of this school and look forward to a great year there! The Indian Hill Flute Choir meets Thursday evenings from 7:30-9:00 PM and is open to intermediate and advanced students! More information is available at www.indianhillmusic.org. In my attempt to out-grow the college age furniture, I was making an effort to avoid collecting any additional Ikea furniture. This video might change my mind.